« Improve your photos with a sandwich in your hand. I should have posted this on my birthday. 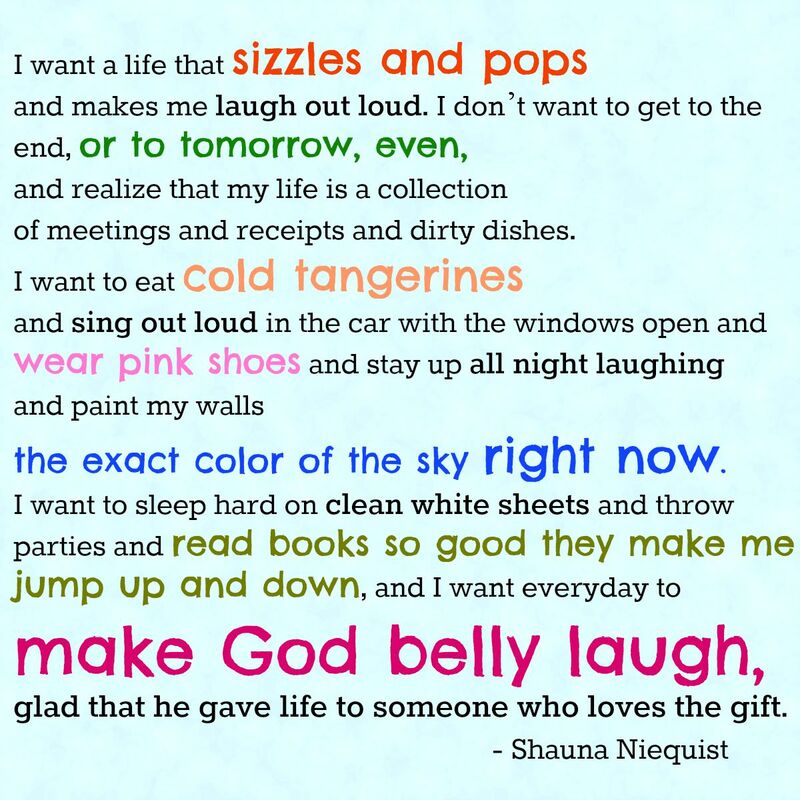 I love this (lightly-edited) quote from Shauna Niequist and I should have posted it here on my birthday. But it was International Resale Day, and I was busy doing my bit for the industry by shopping my little heart out. Sad to say, I didn’t find any pink shoes, but that’s okay. It gives me a chance to keep shopping, and to keep making God laugh.